Raising up little people is quite an undertaking, and it takes a village that we call "comommunnity". Sometimes we just need to talk through things with someone - which brand of diapers to use, how to get your kid to eat vegetables, or when to begin allowing social media. Join us every Monday as we talk about all things mom, and have the conversations you would have with your own Mom, best friend, or even a stranger at the playground! Subscribe to our podcast by email right here or look for us on iTunes, Google Play, Stitcher Radio, or Tunein Radio - just search 'Mommin' Ain't Easy the Podcast'. Find us on Instagram at @momminainteasypodcast. 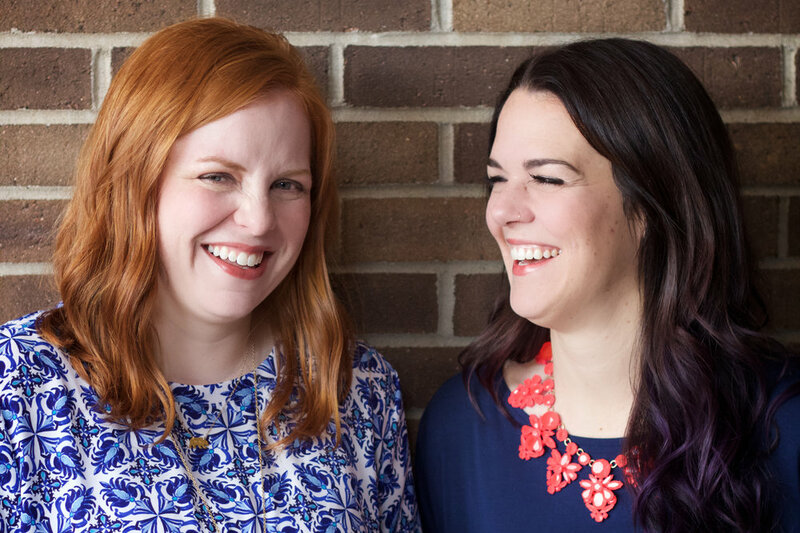 Mommin’ Ain’t Easy the Podcast is a positive podcast hosted by two Nashville moms engaged in honest conversations to encourage all moms through the joys and messes of intentional mommin’. Community - Mommin’ Ain’t Easy exists to rally around moms as a virtual community and motivate them to find community where they are. Encouraging - Mommin’ Ain’t Easy exists to serve moms by encouraging and affirming them where they are on their mommin’ journey. Inspiring - Mommin’ Ain’t Easy exists to resource and inspire moms to have intentional thought and dialogue through casual conversation. Fun - Mommin’ Ain’t Easy exists to laugh along with you as we all navigate the calling of motherhood. Any topics you want us to talk about? Interested in sponsoring the show? Email us! All content on this site © "mommin' ain't easy the podcast" unless otherwise noted.